The secret to changing your life is to first change your mind. Your subconscious mind is the most intricate and powerful machine in the world. And it’s the only tool you need to create the life YOU want to live. Most people live life by allowing their minds to control them. 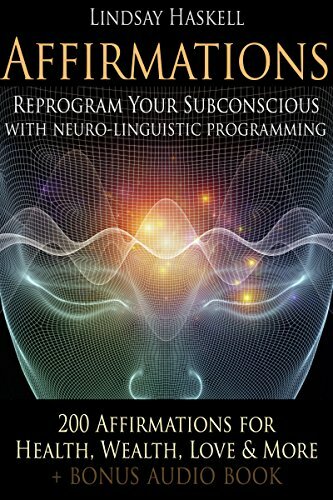 In this book you’ll learn how to tap the power of your subconscious and make your mind work for you by using affirmations — a proven neuro-linguistic programming technique. Complete instructions on how to use affirmations in the most effective ways to get the results you want.